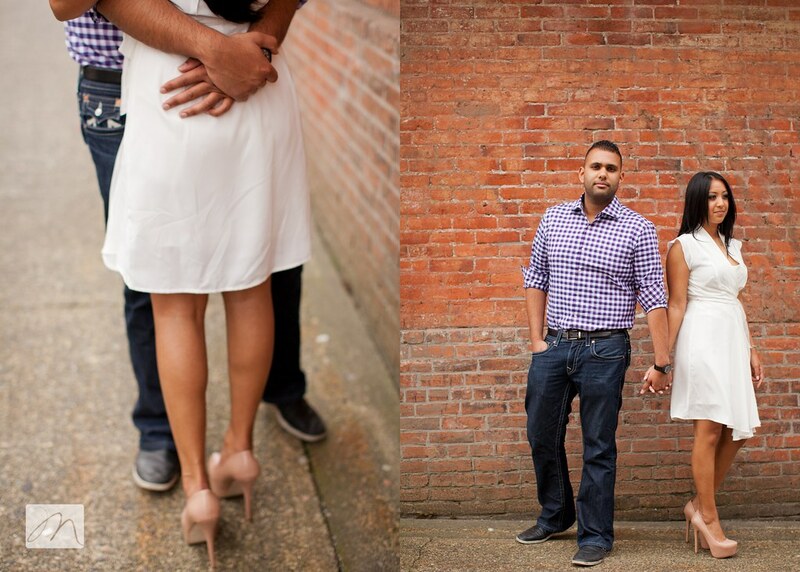 If you've followed my blog for the last several months, then you will definitely recognize the couple in this post. 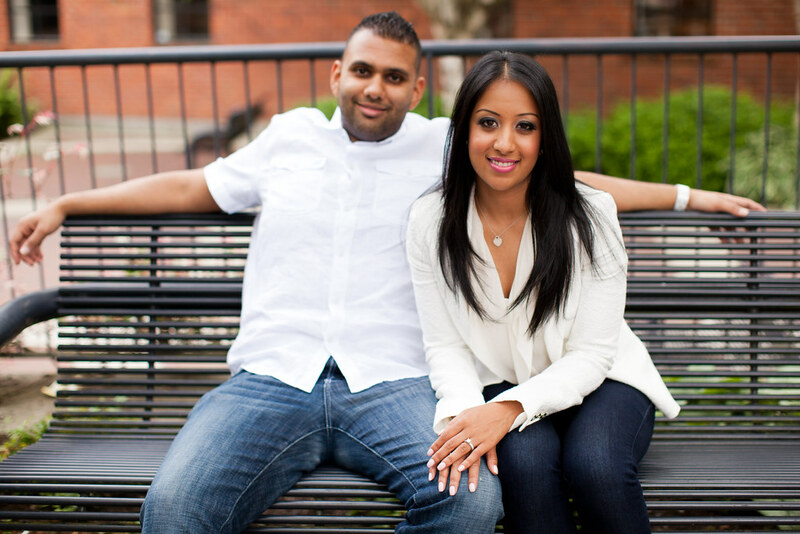 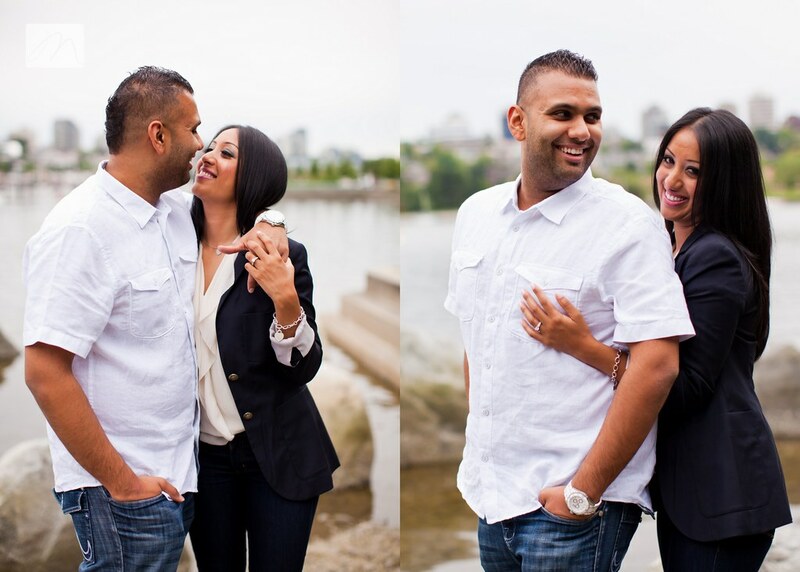 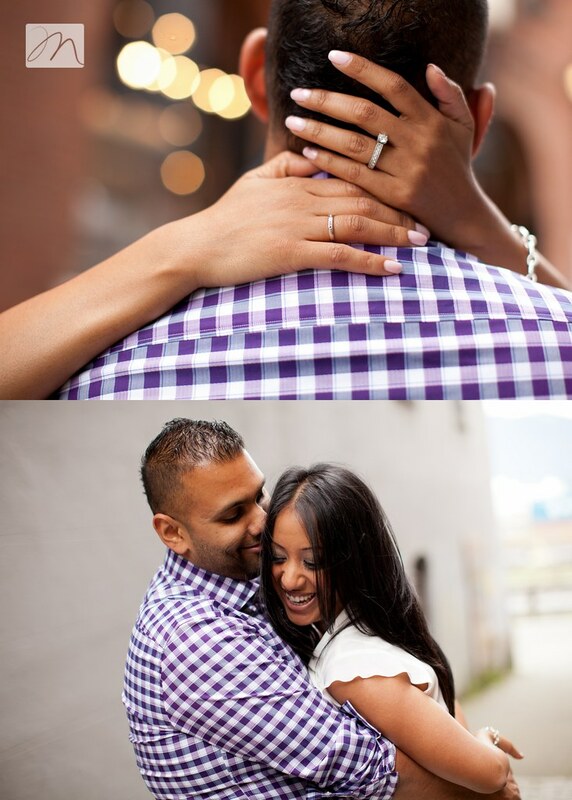 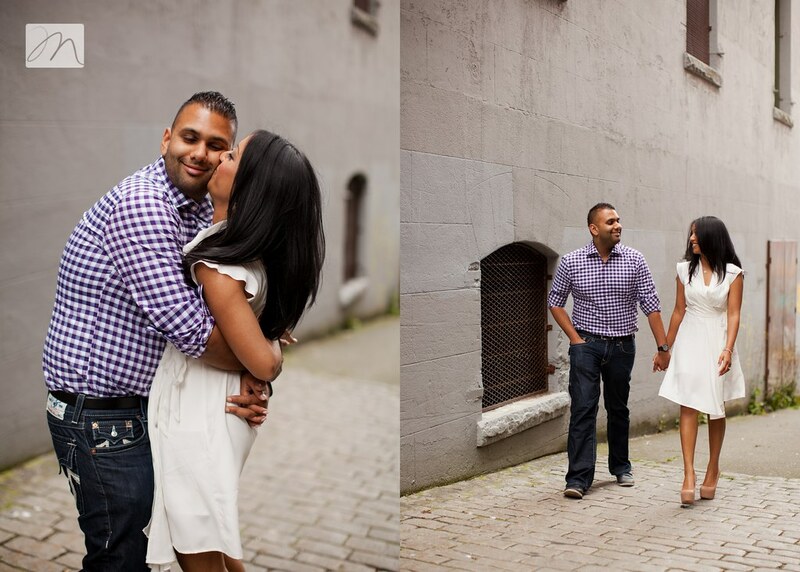 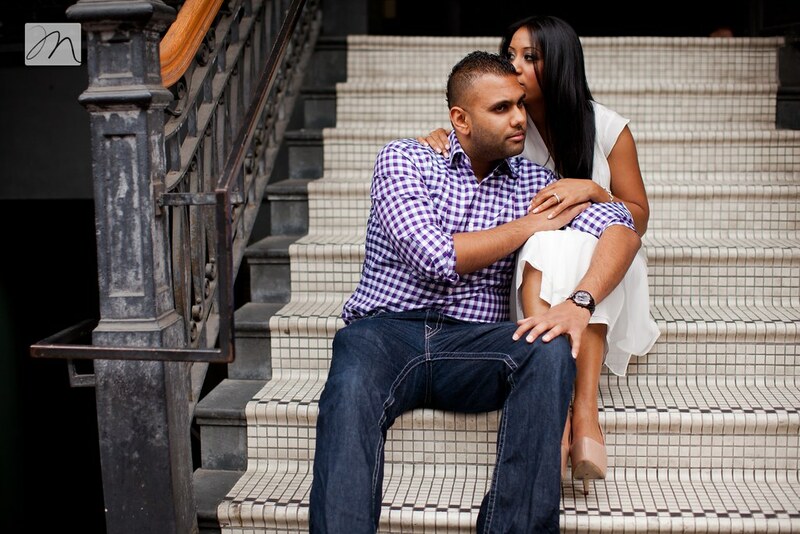 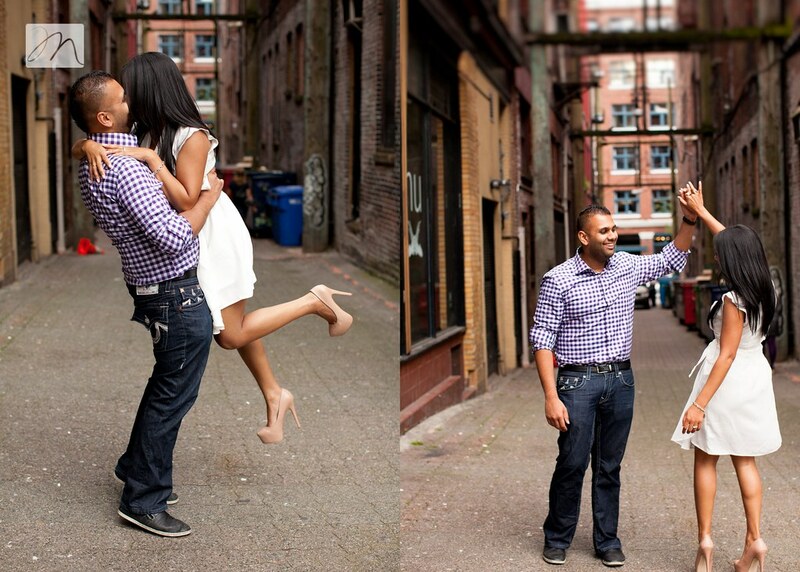 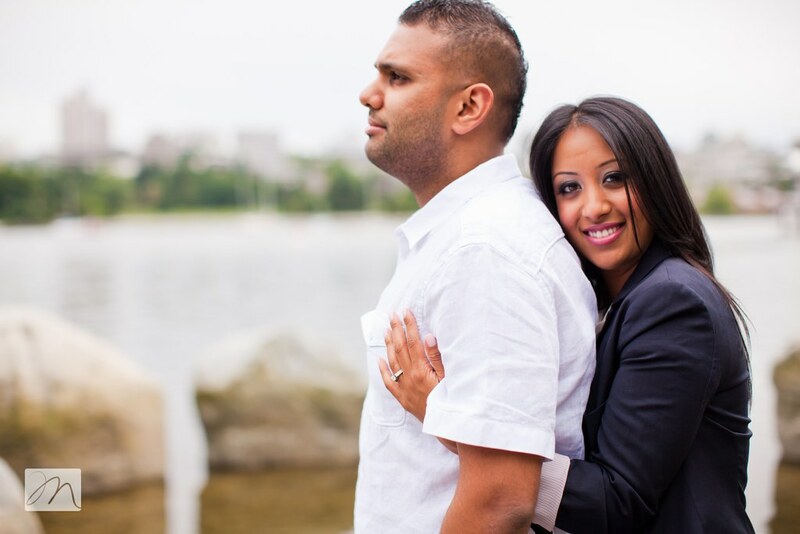 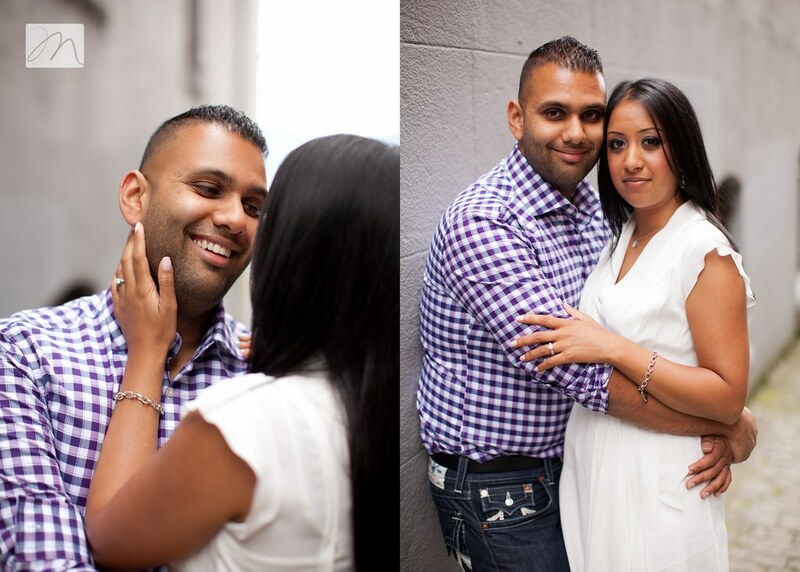 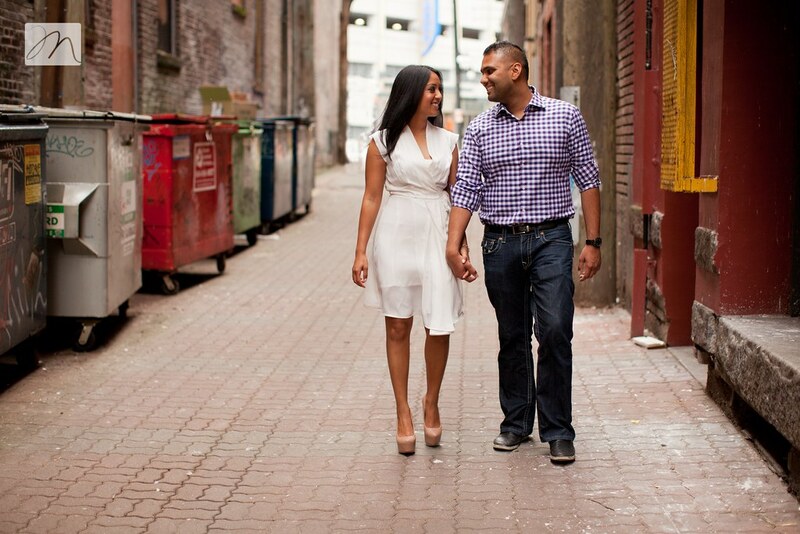 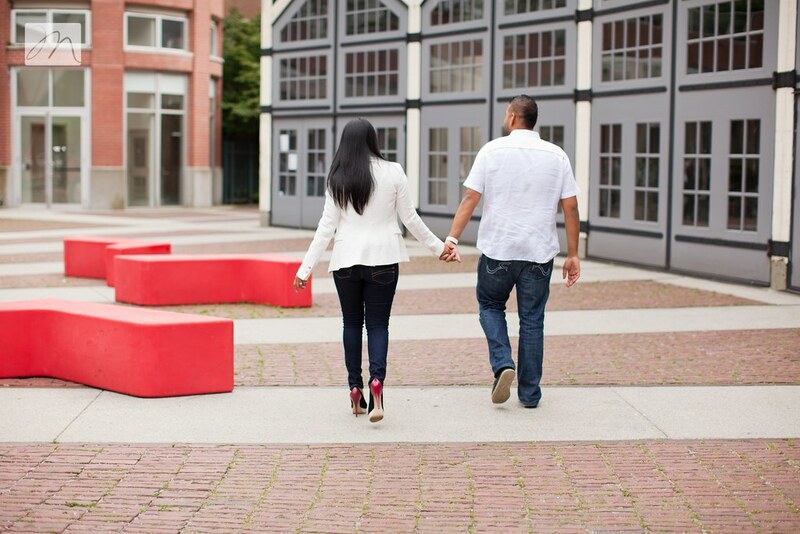 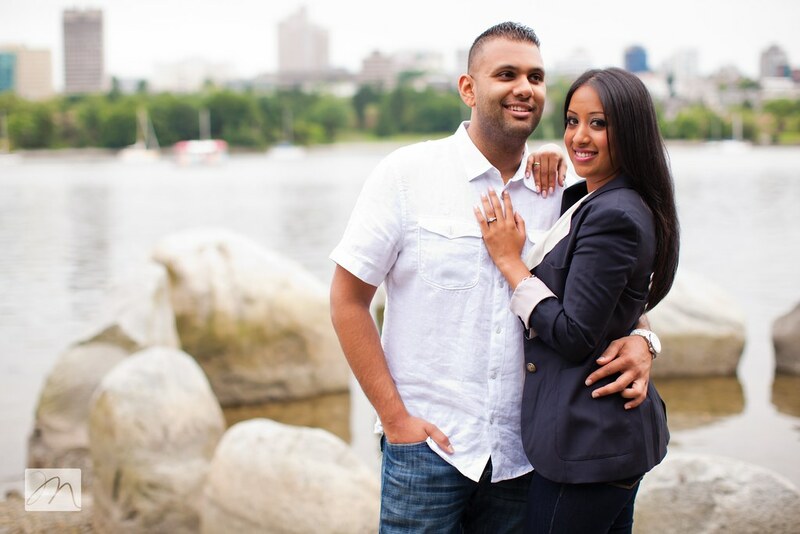 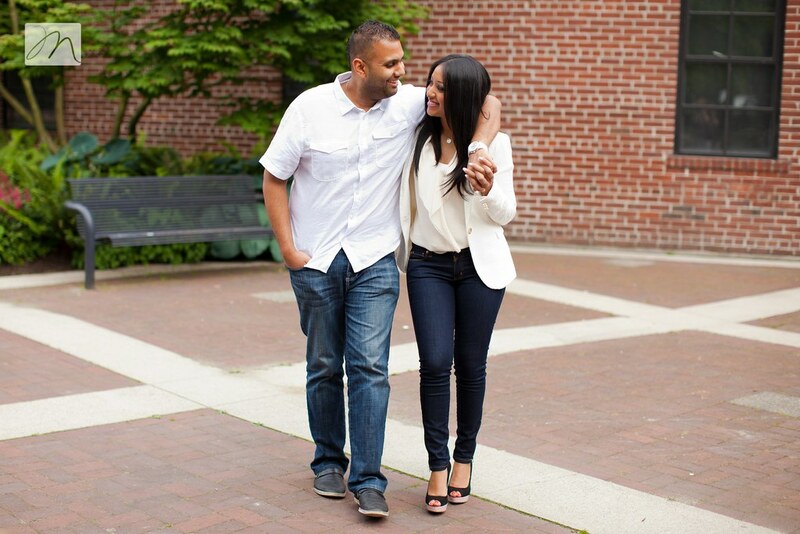 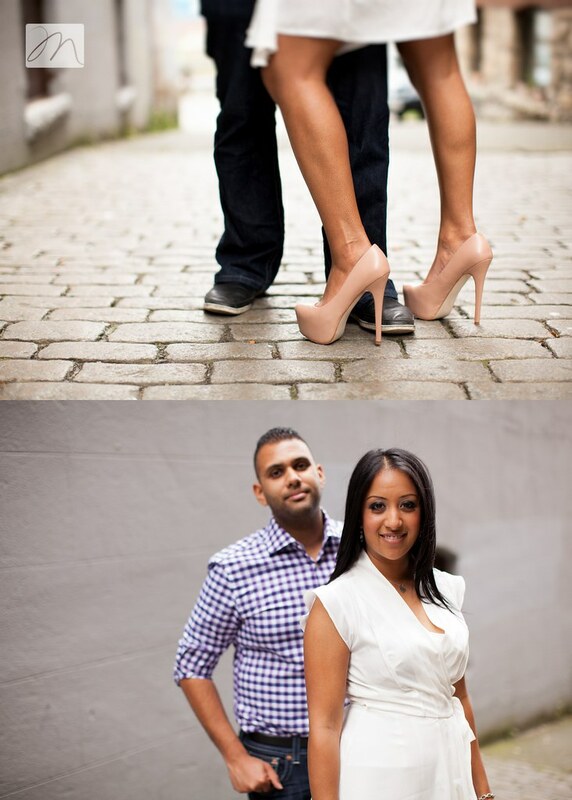 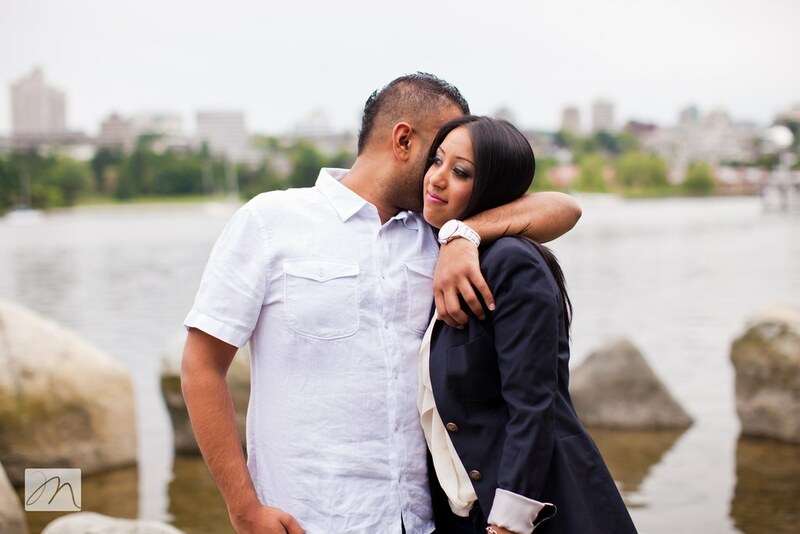 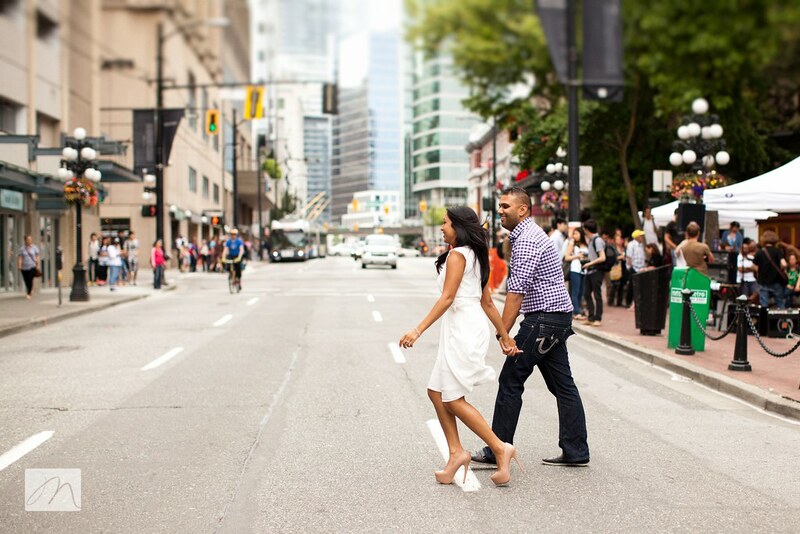 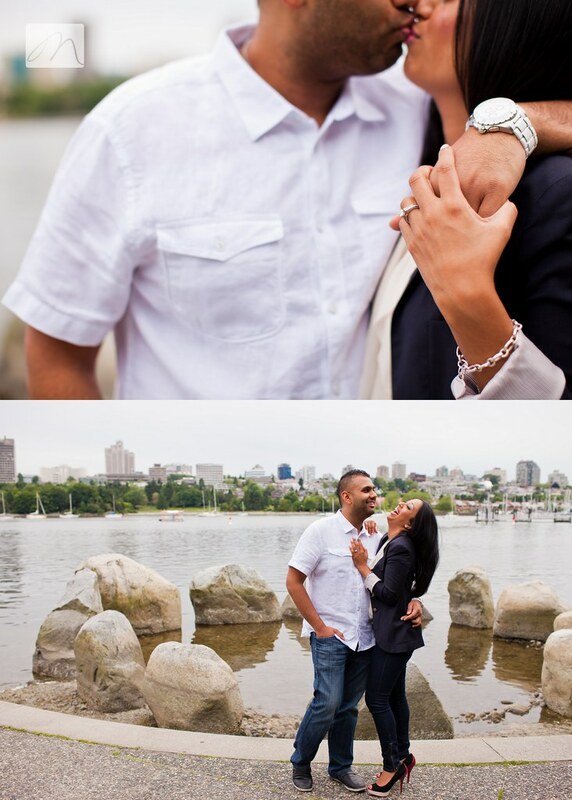 Faraaz and his lovely fiance, Natasha, were featured back in February during their first engagement session at Coal Harbour. 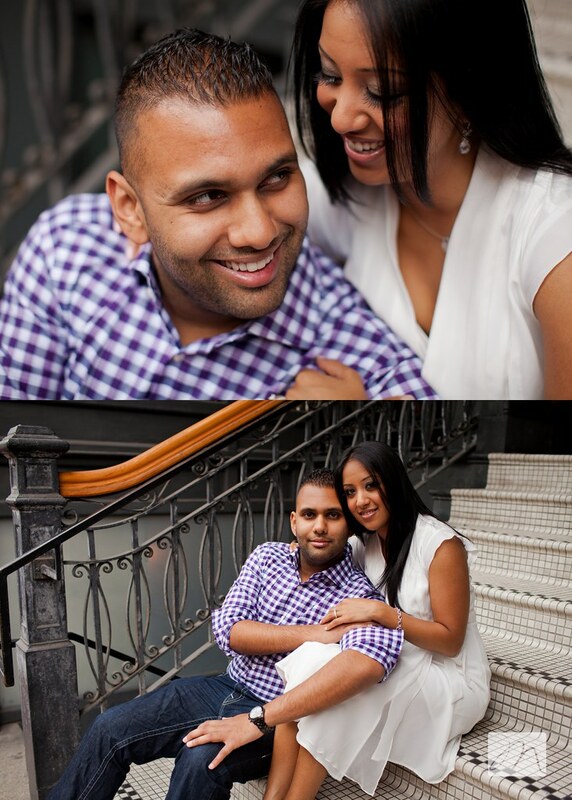 If you haven't seen that session, definitely take a peek...it's one of my all time favourites! 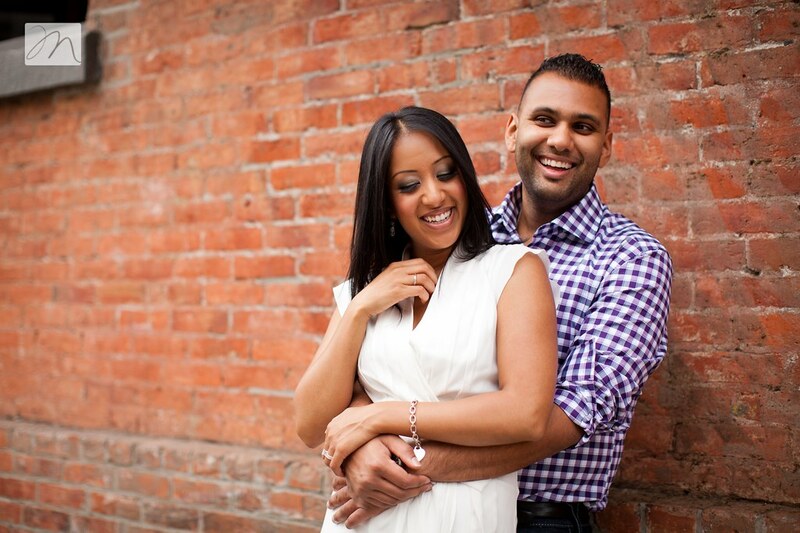 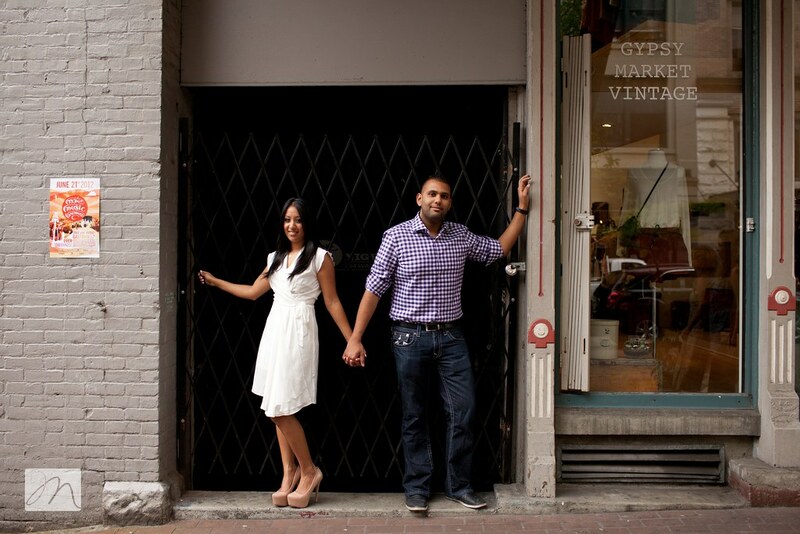 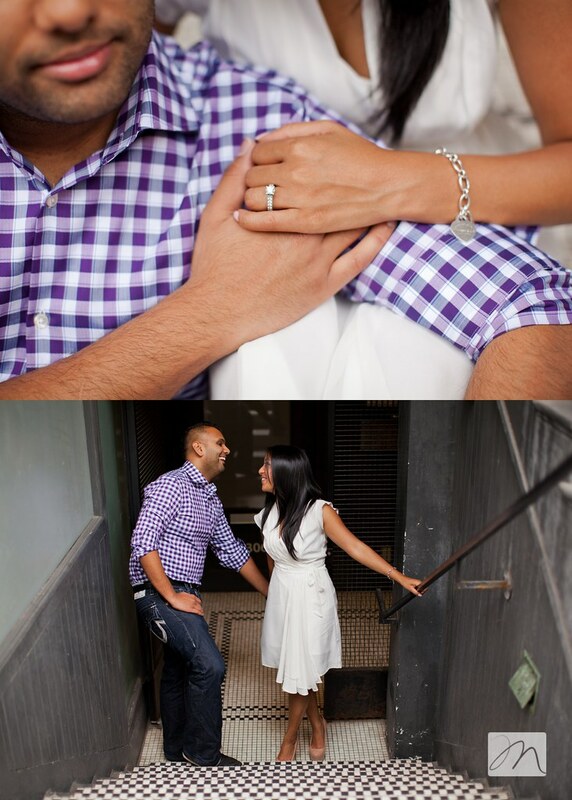 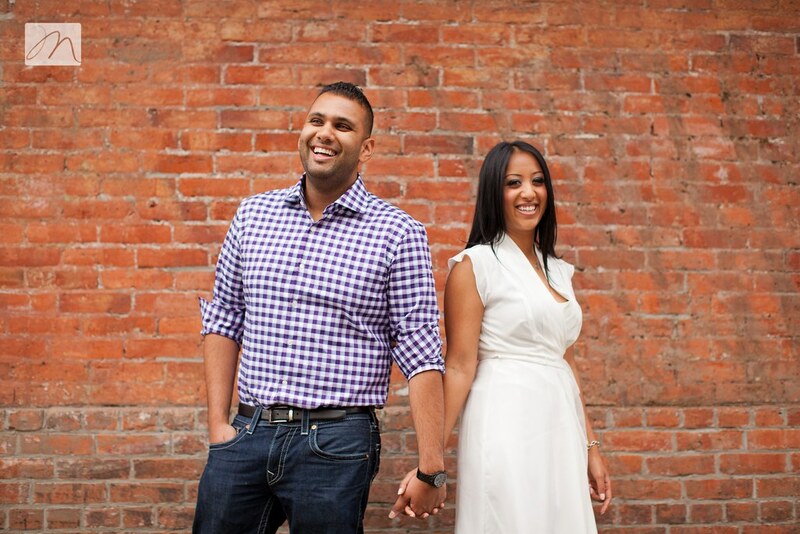 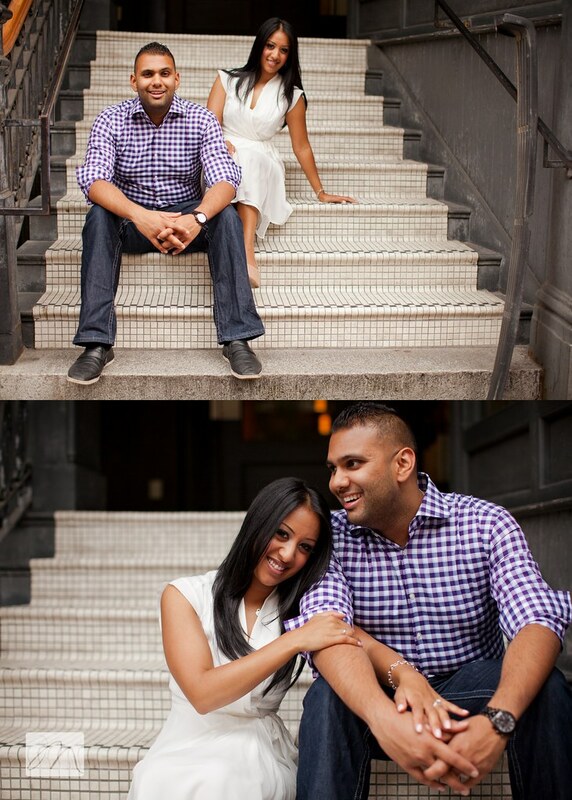 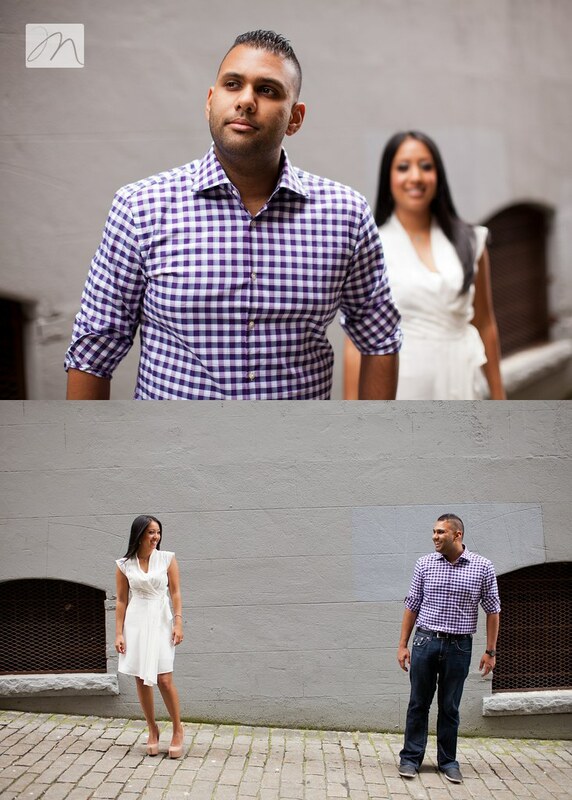 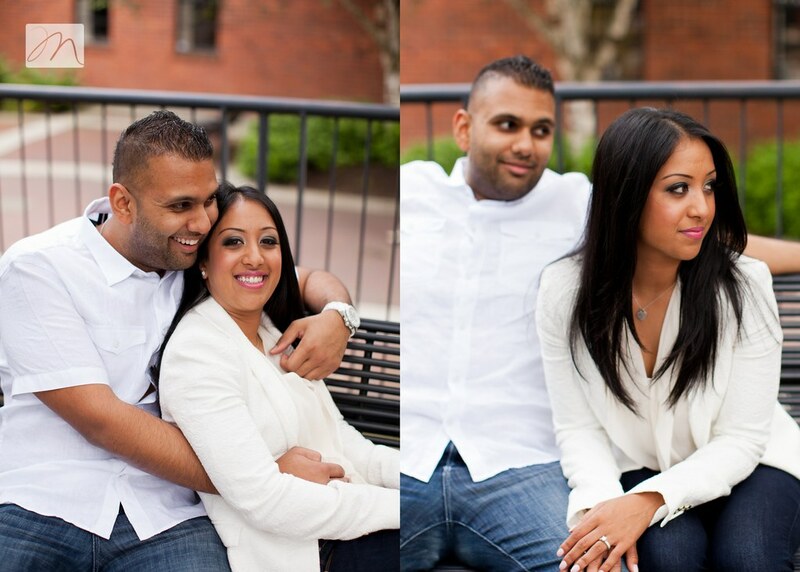 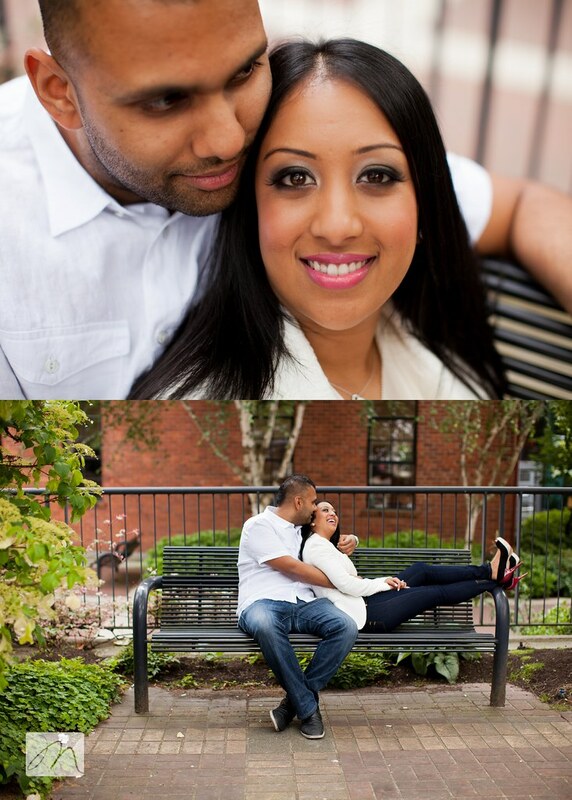 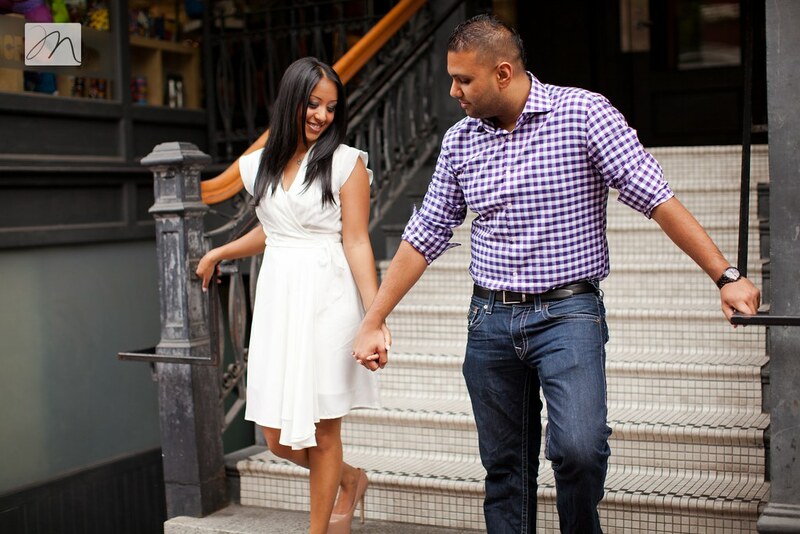 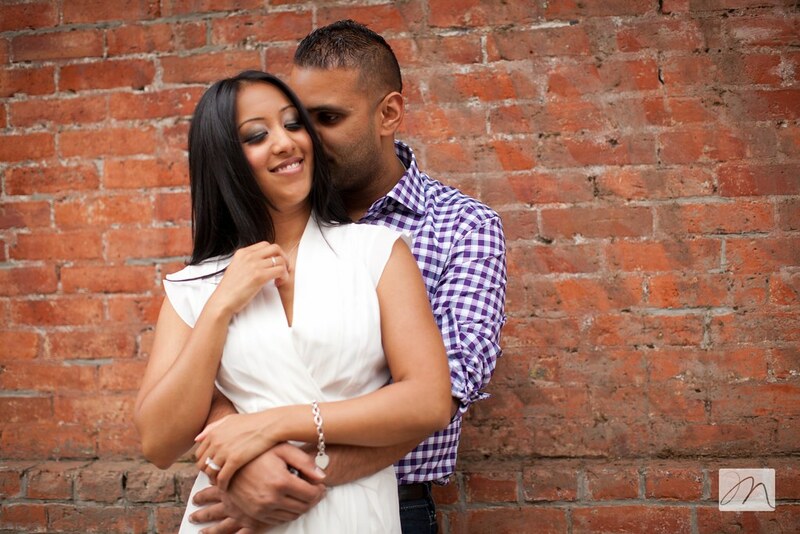 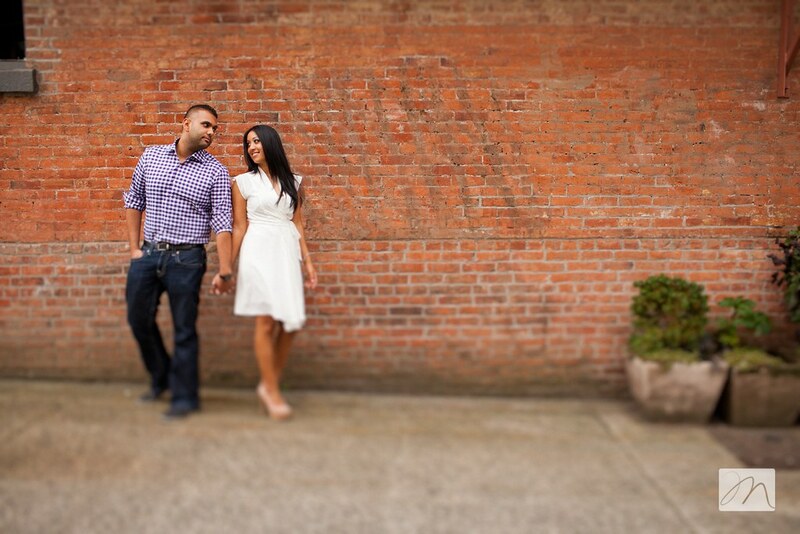 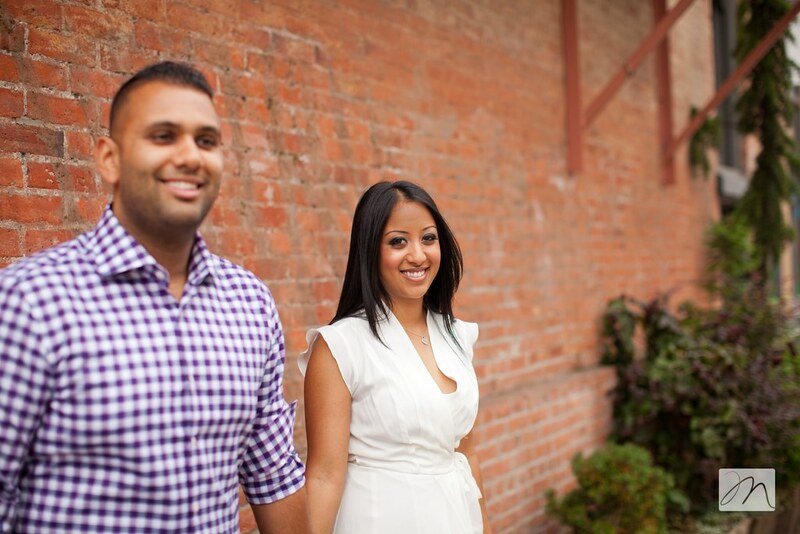 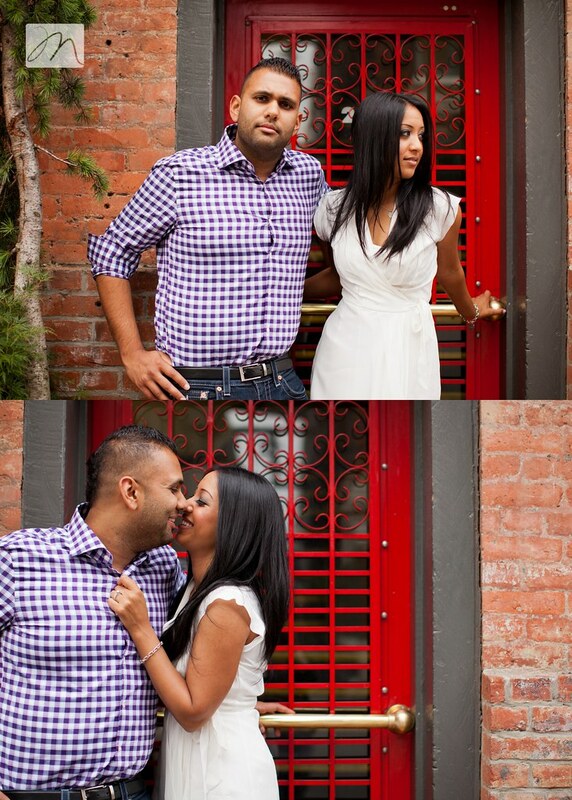 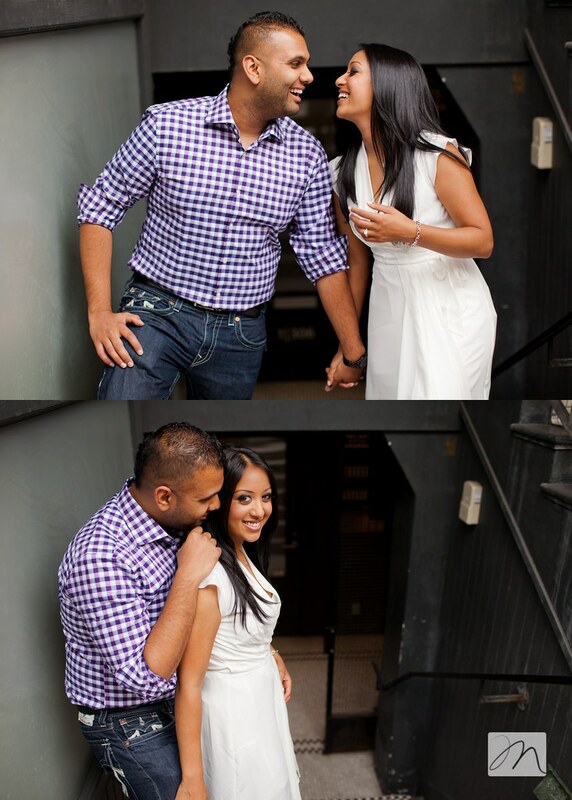 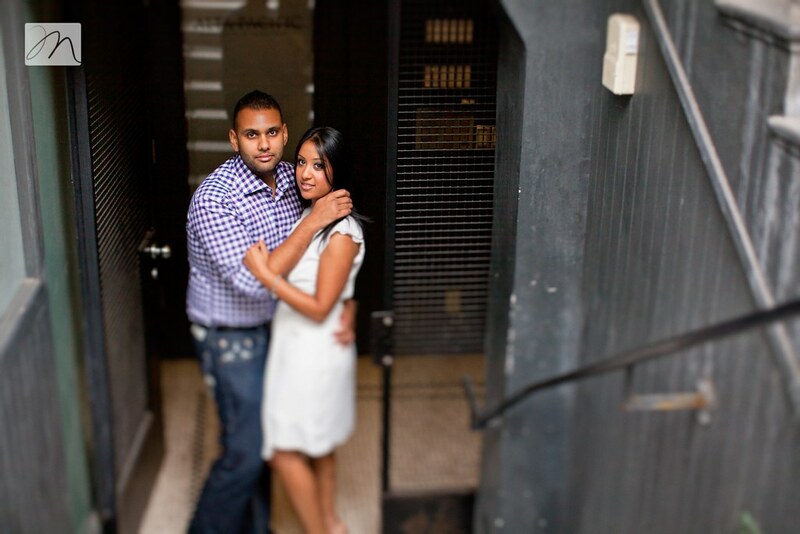 Natasha + Faraaz ~ Once again, Steve and I completely enjoyed our time with you. 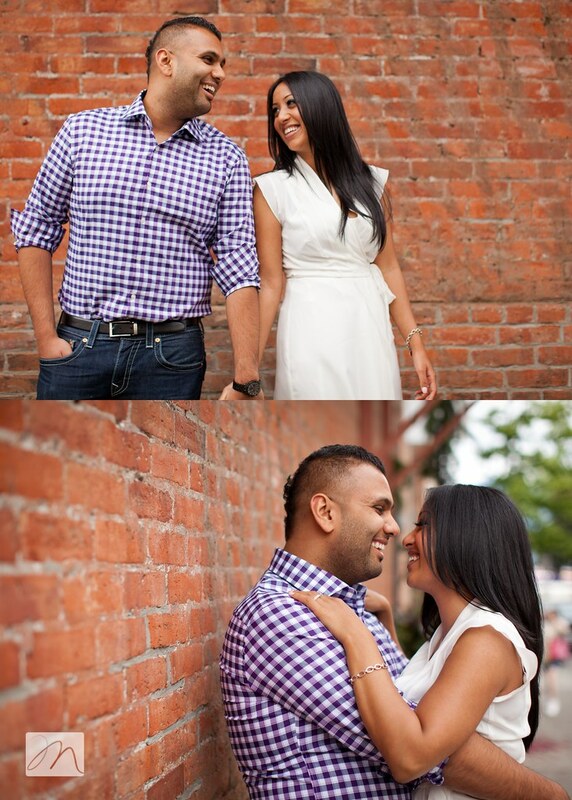 You guys are such a fun, "quick to laugh and smile" couple! 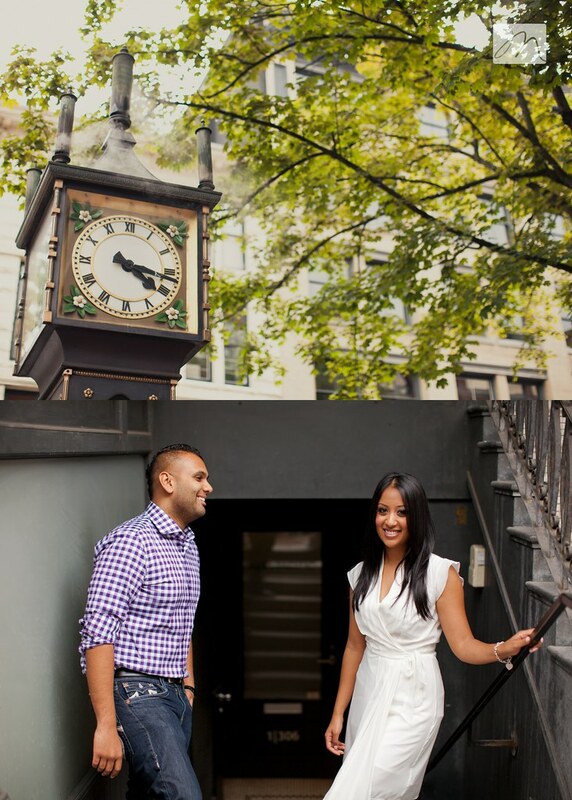 Counting down till your September nuptuals and all the beauty it is sure to bring! 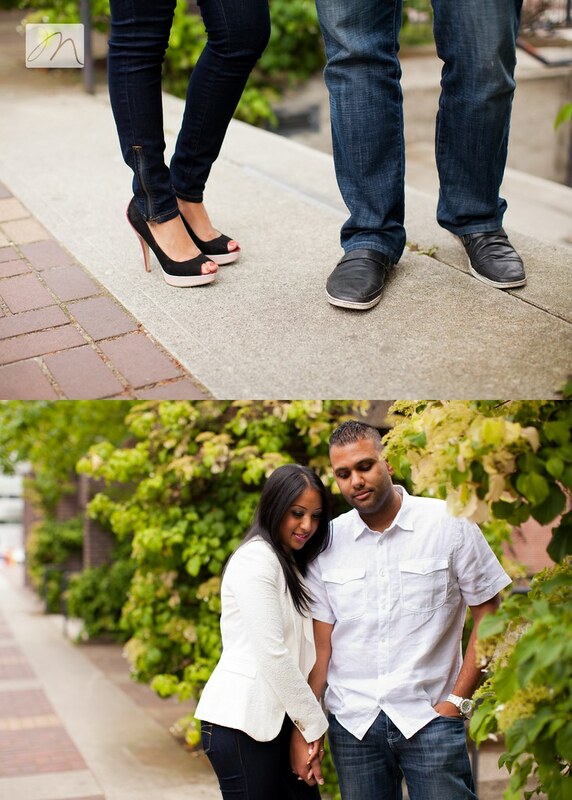 Love the photos and once again, awesome shoes!!! 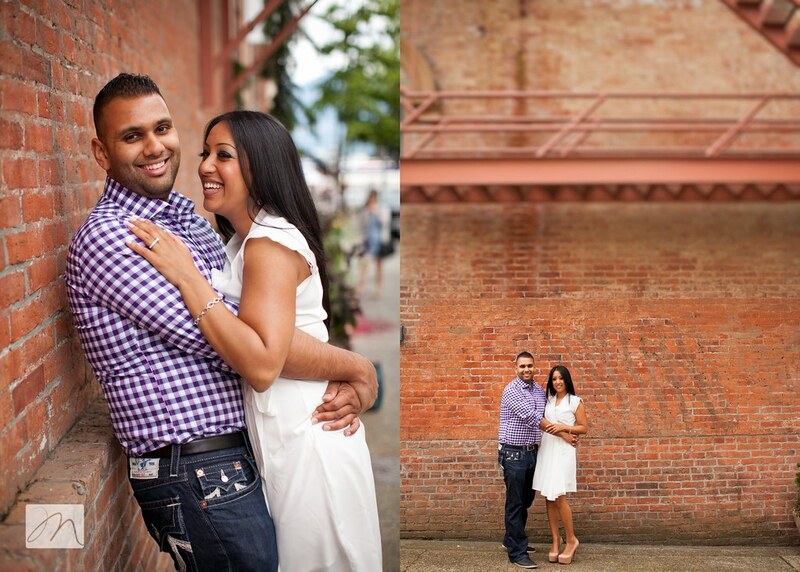 Megan and Steve - you two make a great team!! 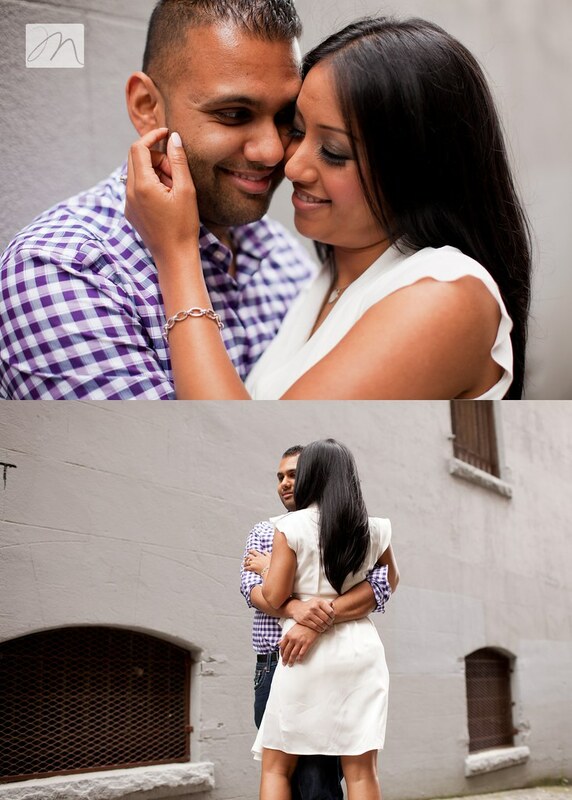 You guys seriously rocked this session. 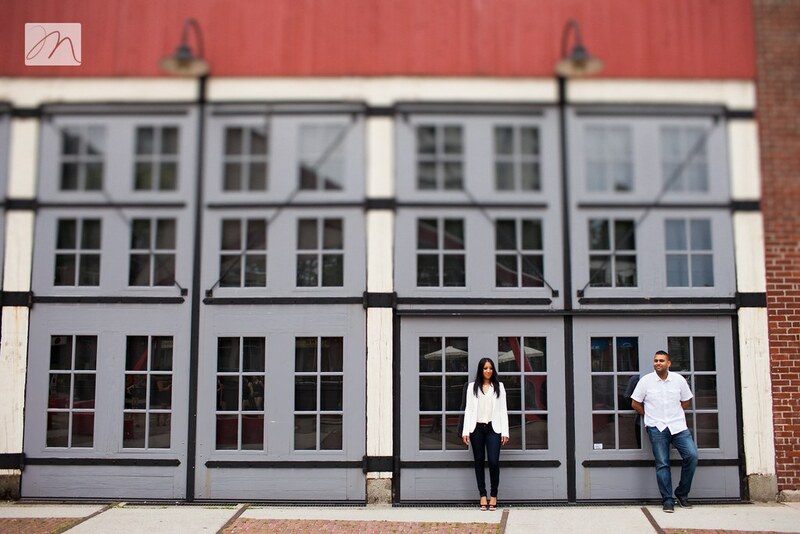 Love the wide angle one with the garage door windows and the ones with bricks as well. 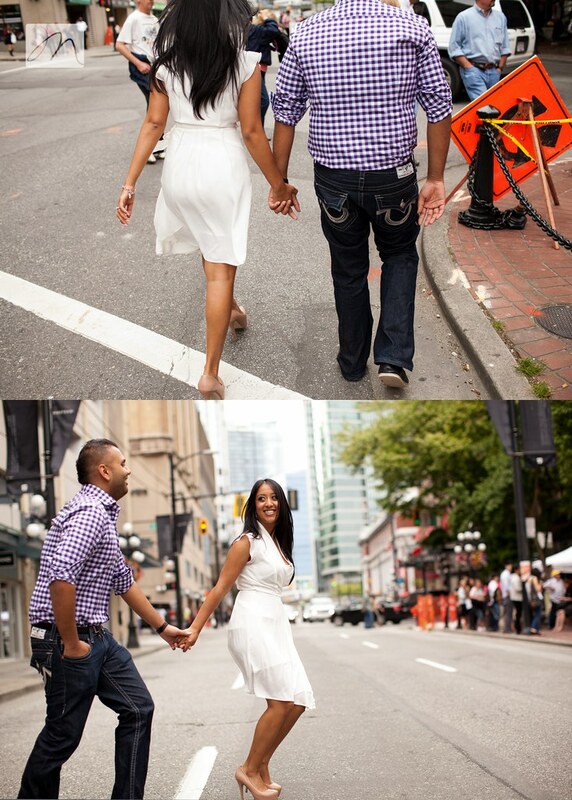 Great urban photo shoot. 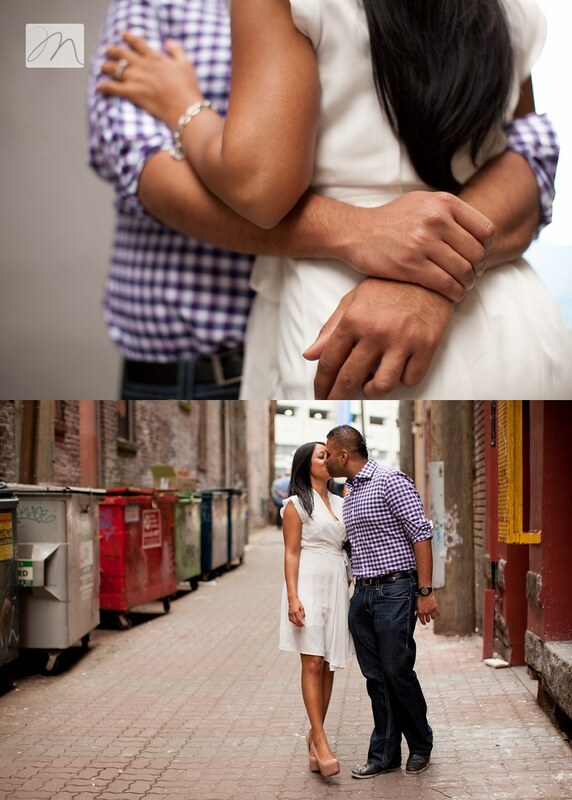 Who would have thought that garbage dumpsters would look neat in the background of a photo!